Spider silk has some amazing material properties, so there’s lots of enthusiasm for the prospect of using it to make something useful. Unfortunately, spiders aren’t domesticated, and attempts to make the silk proteins in other organisms haven’t been entirely successful. And then there’s the matter of what to do with silk once you have it. It doesn’t always cooperate with modern manufacturing techniques. 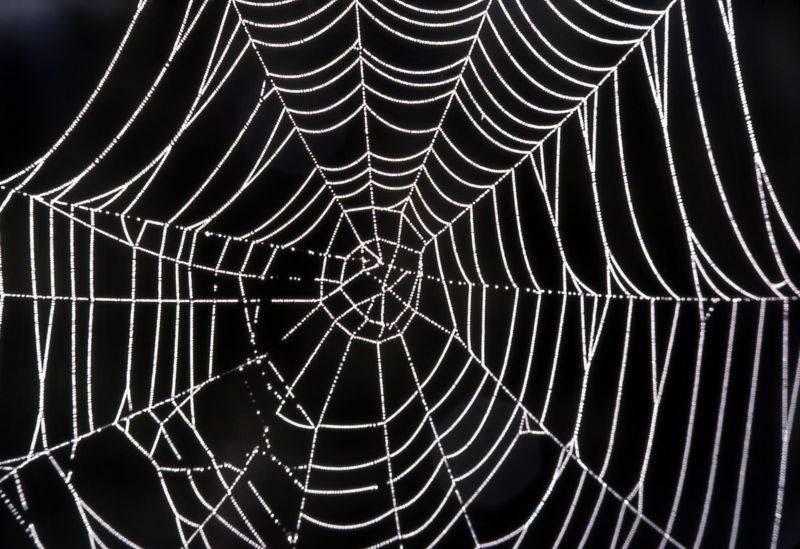 But some researchers in India figured out a way to get spider silk to play nicely with lasers. Under the right conditions, the silk itself helps amplify a laser’s power, to the point where it can either cut the silk in specific locations, or soften it to the point where it can be bent or welded. The work relies on a physics effect termed “nonlinear multiphoton interactions.” In the simplest terms, the effect allows two photons of a given energy to act as a single photon of twice the energy (higher combinations are also possible). It’s a nonlinear effect, since it involves a sudden jump in energy; you don’t end up with any photons in between, at 1.5x the original energy. In a lot of ways, stars are our model for creating nuclear fusion here on Earth, with fusion power often promoted as “harnessing the power of the Sun.” For all that, however, we have some surprising gaps in our understanding of what’s going on inside stars. That’s partly because we must infer what’s going on there based on the elements and particles that reach the solar surface, and partly because finding ways to test our theoretical models of fusion reactions is so difficult. So there’s a certain appealing symmetry about a paper that was released by Nature Physics today. In it, researchers describe using the National Ignition Facility, built to study fusion using a giant laser, as a model for the interior of heavy stars. The results show that, despite their limitations, our earlier efforts to understand stellar fusion were on the right track. On a simple level, most stars fuse hydrogen to form helium. But things are obviously more complex than that. Most of the hydrogen in our Sun is the lightest form, with just a single proton as its nucleus. The helium produced in stars has two protons and two neutrons. Obviously, making helium from only protons requires a series of nuclear reactions, each with distinct probabilities of occurring that depend in part on the conditions inside the star. Complicating matters further, there are some other possible reactions that don’t lead directly to helium but can still occur inside a star, producing things like heavier isotopes of hydrogen. Security researcher Jonathan Petit was able to launch a denial-of-service attack against a self-driving car by overwhelming the car’s sensors with images of fake vehicles and other objects.